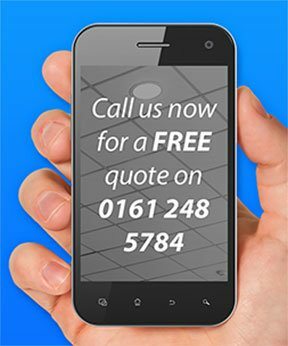 Suspended Ceilings Manchester Ltd are installers of MF ceilings. These systems are constructed using lightweight metal frames and have the same benefits that all suspended ceiling systems have to offer. CasoLine Metal Frame ceilings are used where a plasterboard finish is required. They can be insulated and can last a lifetime as they can be re-decorated when required. 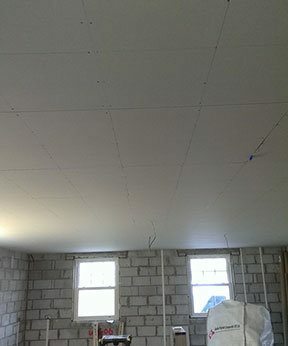 MF Ceilings are used in schools, health care, domestic and many other types of buildings. They are great for covering up old, uneven ceilings such as plaster lath, or if a certain room needs to be brought up to certain codes for insurance or building regulations whether it be fire, acoustic or even moisture. 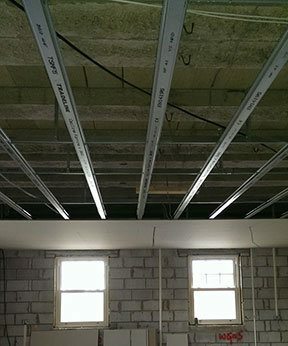 We find that a lot of councils are having this type of ceiling fitted to reduce noise levels from neighbours in high-rise multi occupancy buildings.